A Human Geographer specialising in Integrated Coastal and Marine Governance with specific expertise in the implementation of statutory-based Marine Spatial Planning (MSP) and cross-sectoral stakeholder engagement strategies. My current role involves international consultancy in Southern Africa implementing MSP in Angola, Namibia and South Africa, three member states of the Benguela Current Commission (BCC). The GIZ-funded MARISMA project is supporting the development of a sustainable ocean economy in the Benguela Current Large Marine Ecosystem. My PhD in Ocean Governance (Department of Geography) focuses on the practical challenges associated with the governance of transboundary (cross-border) marine ecosystems in Europe and Asia. In particular, my research is investigating uncertainty and the impacts of historical context and geopolitical transformations on approaches to transboundary marine governance in complex post-colonial regions. This applied and multi-disciplinary research extracts international lessons from two diverse geographic case studies in the European Atlantic (Lough Foyle: Ireland and the United Kingdom) and the Bay of Bengal in the Indian Ocean (Palk Bay: Indian and Sri Lanka). 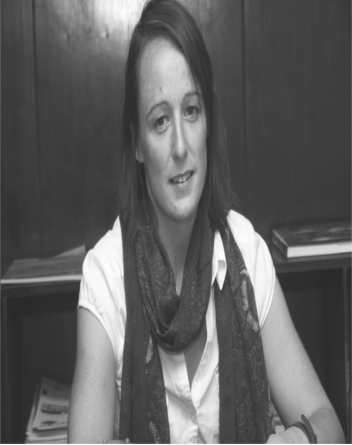 Before joining UCC, Sarah worked for over a decade in management roles in the business sector and as a Research Analyst for the Marine Institute’s International Development Unit. Sarah holds a BSc. in Geography, Physical Education and Sports Science from Loughborough University (1999), a Postgraduate Diploma in Applied Psychology (2002) and a Masters in Geography (Integrated Coastal Zone Management and GIS) from University College Cork (2009). Further information including project experience and publications can be found on Sarah’s LinkedIn Profile, and ResearchGate.